Do you know about the Verso app ? 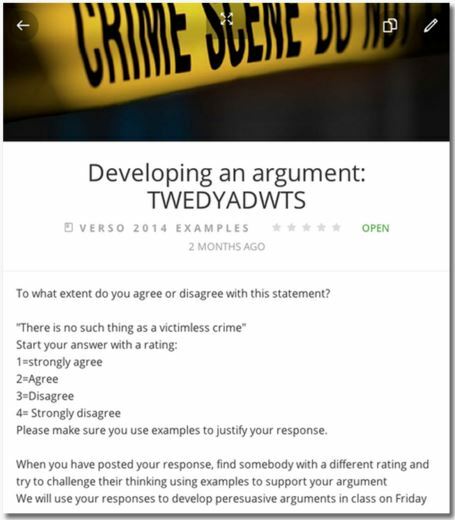 Using Verso, your class can have anonymous peer-to-peer commentaries that require students to reflect on and create connections between ideas and diverse viewpoints. Imagine a true intellectual community formulated upon the basis of principles, not personalities! Teachers and students can pose powerful questions on Verso. Students’ comments are fully anonymous to their peers, but are not anonymous to teacher so they are held accountable. Students can upvote or flag their peer’s ideas in discussion threads using criteria of critical thinking, responding to thematic, philosophical, ethical, and essential questions rather than simple content recall as in lower level Bloom’s. Being a teacher of 8th graders, I see that sometimes intrinsic motivations come with time, after extrinsic motivations have led students forward to readiness. 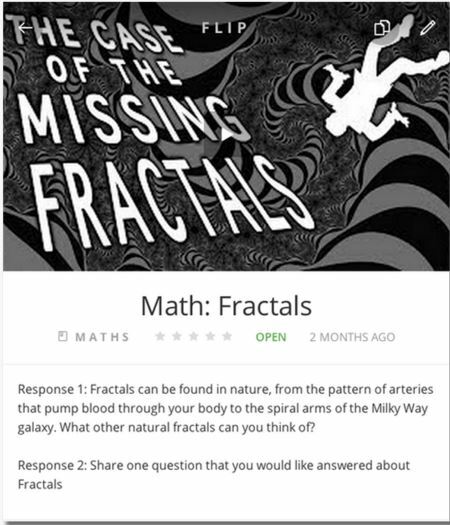 One fun way to move students forward through the science curriculum into the deeper connections might be to integrate the use of the Verso app with a class gamification system. In the gradebook software leaderboard and points system, students can receive rewards based on the quantity and quality of their participation in Verso. Our school district currently uses NEO for a learning management system, and we can do completion tracking of activities and set points and badges connected to a leaderboard -PBL- with this software. If necessary a teacher could equally gamify with a physical PBL system in the classroom – if you have a parent volunteer helper!!! I will be curious to see if this backfires somehow. Could gamifying a thoughtful discussion turn off the higher motivations for engaging in critical discourse? Leads me to the distasteful question – Must I really gamify everything?! Do I get a point for thoughtfulness or doing an act of charity? I’m especially excited to see if I can somehow integrate Verso’s capacities for developing an intellectual community with Moodle’s capacity as a curriculum source. If Verso’s anonymous forums could be a subset of Moodle, that would be totally awesome! Anyone have any idea how to do that? ?